There are a number of reasons that we will examine further about why it’s necessary to hire Authorized Service Dealer like FPS. But the primary and most important reason is your safety. The obvious things to watch out for are carbon monoxide poisoning, fire and electric shock/electrocution. If you’re lucky the CO poisoning probably wouldn’t get you, but the electrical shock and fire is a most certain possibility without using a qualified technician for your new generator installation. Carbon monoxide is odorless and colorless, and it’s produced by the generator’s exhaust. It can be extremely hazardous or even life-threatening if your new home generator isn’t hooked up properly, or if the unit is hooked up in the wrong place on the property. And although most carbon monoxide poisoning deaths result from the use of indoor generators, hiring a professional FPS will guarantee your family’s safety from CO poisoning. There are plenty of nightmare scenarios you can come up with regarding fire and electrocution, which is another important reason to hire a pro from FPS to come out and do the installation. Your unit should be placed outdoors, inside a protective enclosure where sufficient air for cooling and ventilation is available in an unobstructed manner. The generator should be placed on a level surface, which is non-combustible and non-conducting, a little above ground level to prevent contact from rising water levels. If water comes into contact with the unit, there could be trouble. SHOCK! 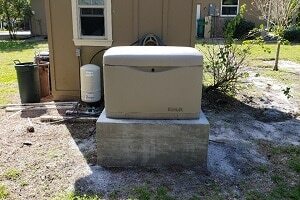 Florida Power Solutions has installed home generators for more than 30 years in the Sarasota area. And again, installing a home generator is a task that should ONLY be undertaken by a electrical contractor, who is certified, bonded and insured to do the required work necessary to get your unit installed safely and correctly the first time. Florida Power Solutions has the know-how and the manpower to get your job done right.  Using the pros at Florida Power Solutions will keep you and your family safe while your new generator is installed. Don’t learn your lesson too late … Contact the professionals at Florida Power Solutions now!